A gifted vocalist with a tone described as “seamless and superb” (Arizona Republic), Dr. Steve Meredith is a highly sought-after concert performer. A favorite of the late Robert Shaw, Dr. Meredith sang Beethoven’s Missa Solemnis and 9th Symphony under his direction with orchestras throughout the United States. 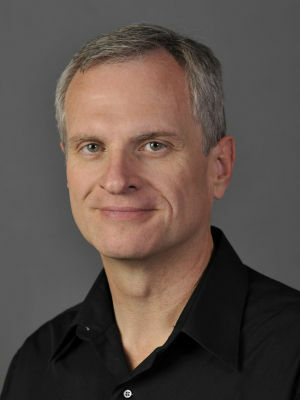 Recent seasons have found him performing Messiah with the Salt Lake Symphony; Bach’s St. John Passion and Weill’s Seven Deadly Sins with the Phoenix Symphony, Beethoven’s 9th Symphony with the Scottsdale Symphony, Mahler’s Das Klagende Lied with the San Juan Symphony, The Book of Mormon Oratorio with the Mormon Tabernacle Choir and Orchestra; and Mozart’s Requiem with the Great Falls Symphony. Dr. Meredith is an Associate Professor of Music at Snow College, where he is the Director of the Horne School of Music, Director of Choral Activities and Music Technology Coordinator. Dr. Meredith received his B.M. and M.M. degrees from the University of Utah in choral music education, and his D.M.A. in choral music from Arizona State University. As an educator, he is much in demand as a clinician and guest conductor, having worked with choirs throughout the US. His choirs are also in demand professionally, having performed on the film soundtrack for Warlock II and participating regularly as a part of the Video Games Live and Star Wars Live concert tours.